This is the view over the Mexican city of Guanajuato and the sharp edges show where steep mountains mark the limits of the valley. 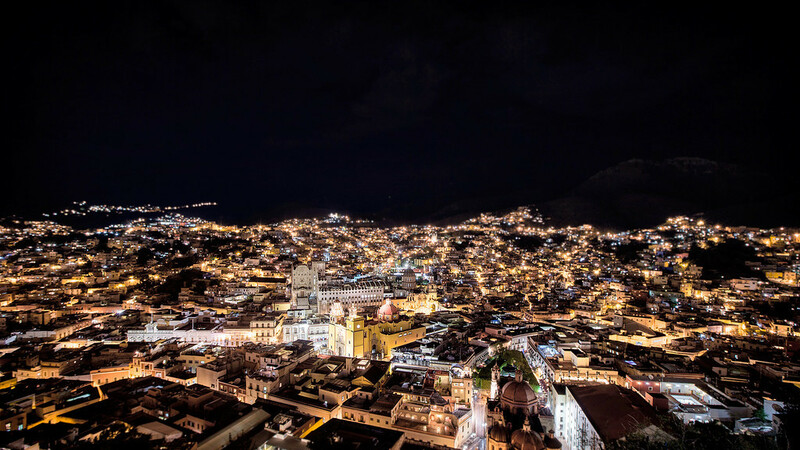 Since originally settled by the Spanish in the 1540s to exploit their rich mineral deposits the city has grown beyond the borders of the valley and is connected by tunnels to the new city. In the center of the city is the Basilica Colegiata de Nuestra Senora de Guanajuato. It is a beautiful and magical city and when we visited I wished we had planned a longer stay.